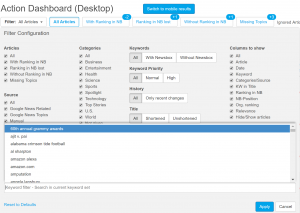 The News Dashboard SEO tool looks at Google search visibility. We focused only on imported keywords – Google News Topics and Google News Related – which are made up of the “trending” or top news topics on Google News at any given time during the analysis. Each Google News category – from Top Stories to Entertainment, World, Sports, Technology and more – is considered. Finally, we used our recently released weighted visibility score, which considers not only if a publisher has an article in a news-related ranking on the SERP for the given keyword, but also where on the SERP that ranking type is located, and where within the ranking type a publisher’s article is located. 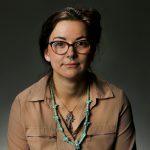 This reveals more granular information and helps publishers get a better idea about their own visibility, especially as compared to their competitors. In mobile, the Google News Box in the SERPs feature both text links and a News Carousel. For this analysis, we are considering the entire Mobile News Box – both the text links and AMP and non-AMP carousel portion. During August to November period in Mobile News Boxes, we see a meteoric rise of the Guardian, which rose from fifth in August to overtake the top spot in November. In addition to ranking the Top 5 publishers in both months by search visibility, we dug into the data to see which specific keyword each publisher was most visible for. When a publisher’s own name was their most visible keyword, we also listed the next most-visible keyword. The top keywords remained the same for each publisher in both months, except for USA Today. The keywords run the gamut from politics to sports to entertainment. Next, we took a look at which publishers dominated Google News (news.google.com). A few carried over from Mobile News Boxes (Washington Post, CNN). The post continues their long streak of top Google News visibility, with the New York Times and CNN battling for the second spot. ESPN and Reuters are also Google News mainstays. Going back to the mobile SERPs, we dug into Publisher Carousels, which look similar to the carousel portion of the News Box (with only one text link, usually to a landing page vs. a single article), but all of the links are to a single publisher. This ranking type is usually most visible for sports, entertainment and breaking-news topics. There is some overlap between the publishers from the types we’ve already examined (ESPN, the Guardian), as well as a few more unusual sites for a news discussion: nfl.com, nba.com and nasa.gov. In each case, their domain names are the keywords they are visible for – obviously meeting a couple of factors in the Google News algorithm. Two other outliers – BBC News and Bleacher Report – join the Top 5 by virtue of their coverage areas. In the BBC’s case, they have a very broad coverage area and are often looked to as a top source of international news. And for Bleacher Report, they have both broad and deep coverage of many sports verticals. 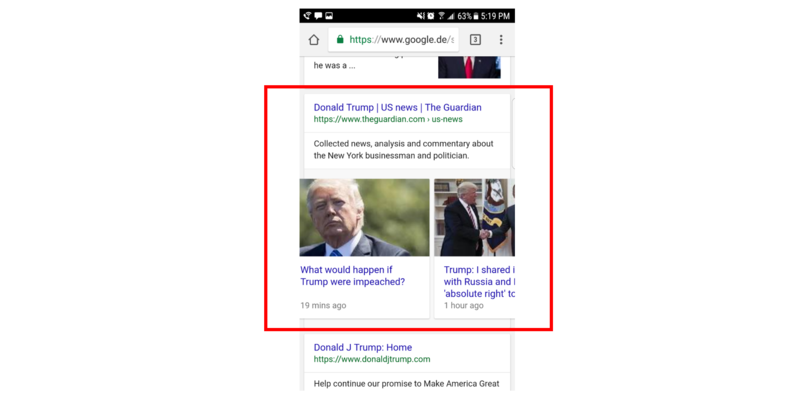 Publisher Carousels are triggered when a single publisher has a number articles that are ranking for a keyword that Google has placed in the News ranking types. 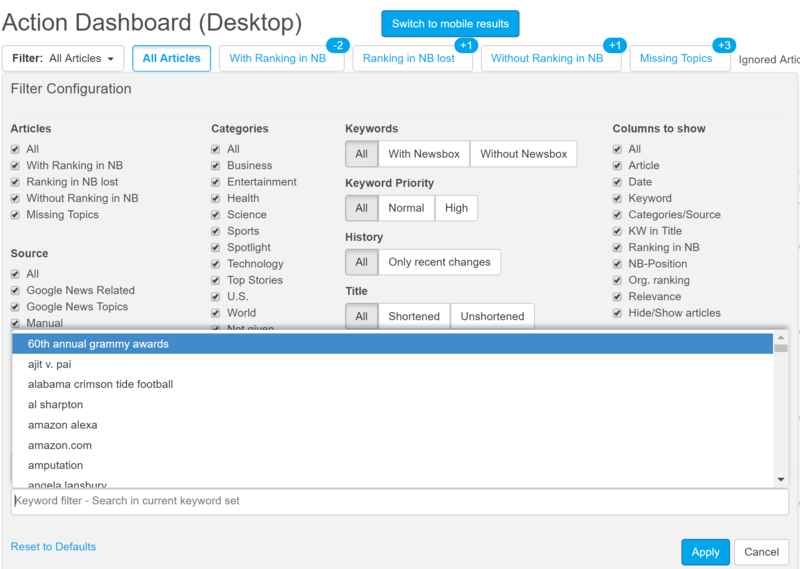 The News Dashboard now offers keyword clusters in the Action and KPI Dashboards. While a couple of publishers appear in each of the three news-related ranking types we examined, the list usually differs significantly, as various publishers perform better at each factor that is most highly considered for each ranking type. If you’d like access to this analysis data for your own website (as long as it ranks in Google News) – along with near real-time tips on Google News optimization – sign up for News Dashboard demo today. You can also try our new keyword cluster feature – which allows publishers to sort their keywords by category, news event, series, article, author and more. They can also sort by single keywords and create clusters on the fly as they see trends of interest in both dashboards. We have many happy customers who are improving their news SEO daily across Europe and the U.S. If you’d like to read more, we highlighted the top U.S. search visibility performers for the German election, the July 2017 U.S. search index and the top publishers in overall Google News search visibility for January-May 2017.